Patho-physiology and pharmacotherapeutics (study of the changes of normal mechanical, physical, and biochemical functions, either caused by a disease, or resulting from an abnormal syndrome. More formally, it is the branch of medicine which deals with any disturbances of body functions, caused by disease or prodromal symptoms). Healthcare education has a significant impact on the health of the community and improving services for the patient. It instills fundamental values and directs specific attitudes for the healthcare professionals. Pharmacy is an essential part of the healthcare system all over the world. Pharmacy revolves around people and medicines with special emphasis on the manufacture of medicines, their supply, appropriate use and effects. The ultimate concern of this profession is to ensure that the patient receives the appropriate medicines and benefits from the proper use of these. Contrary to popular belief, pharmacy is not limited to counting and dispensing pills. Pharmacy is a rewarding profession in the health care system that involves working closely with doctors and patients. It is an important and trustworthy occupation that reaches into almost all aspects of medicine and healthcare. The Indian Pharmaceutical Industry, today, is in the forefront of India’s science-based industries with wide ranging capabilities in the complex field of drug manufacture and technology. This industry can boast of high quality producers and recognition from many international regulatory authorities. Many international companies have entered this sector in partnership with Indian Companies. Globalization of the profession has now thrown up as many challenges as opportunities before those who are involved in this profession. In this scenario, our department has a great role to play in equipping our students adequately to live up to this grand vision and to enable the industry to meet these challenges. Pharmacy offers flexible work schedules, a broad spectrum of opportunities, direct patient contact, and top salaries right out of the college. Passed in 10+2 examination with Physics and Chemistry as compulsory subjects, along with one of the following subjects:-Mathematics/Biology, with a minimum of 55% marks in aggregate from a recognised Board. -Candidate shall complete the age of 17 on or before 31st December 2019.The age shall be determined as per entry in the Matriculation / Higher Secondary or its Equivalent Certificate. Admission will be on the basis of merit of qualifying exam. 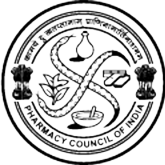 ELIGIBILITY: Candidates should have passed Diploma in Pharmacy, course of minimum duration of 2 years or more with atleast 55% marks in the aggregate of all the semesters/year from a Recognised College / University.